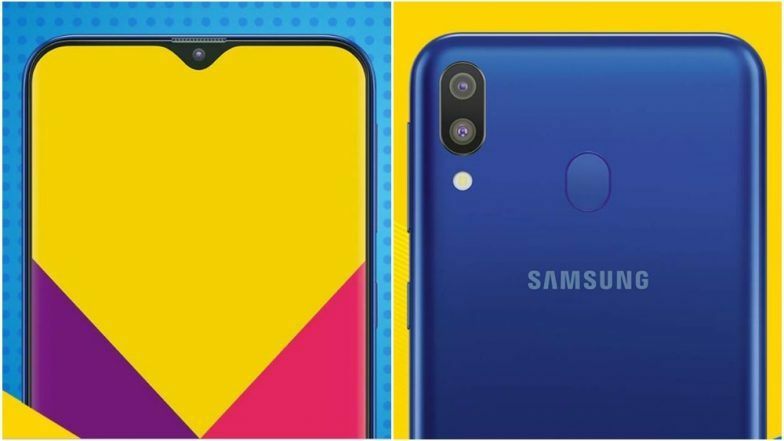 Samsung Galaxy M10 and Galaxy M20 Pricing Leaked - Playfuldroid! On Jan. 28, Samsung will be debuting the all new Galaxy M series of smartphones in India. Multiple reports have revealed that the company will be unleashing Galaxy M10 and Galaxy M20 through the upcoming launch event. The pricing of the Galaxy M10 and M20 smartphones have been leaked today which confirms these phones will be competing with the likes of Redmi 6, Redmi 6 Pro, Redmi Note 6 Pro, Realme 2, Vivo Y81, Oppo A83, Asus ZenFone 2 and ZenFone Max Pro M2. The Galaxy M10 will be arriving in two models. The starting variant will have 16 GB of storage and 2 GB of RAM and it will be priced at Rs. 7,990. There will be a higher model featuring 3 GB of RAM and 32 GB of storage. It will be carrying a price tag of Rs. 9,490. The Galaxy M20 that will be arriving with better specifications than the Galaxy M10 will be also available in two models. The base model of the M20 will have 3 GB of RAM and 32 GB of native storage and it will be costing Rs. 10,990. The handset will be also available in a higher version feature 4 GB of RAM and 64 GB of storage. It will be priced at Rs. 12,990. The Galaxy M10 and M20 will be exclusively available for purchase through Amazon India and Samsung’s online store. The official sales of the phone are expected to begin on March 5.